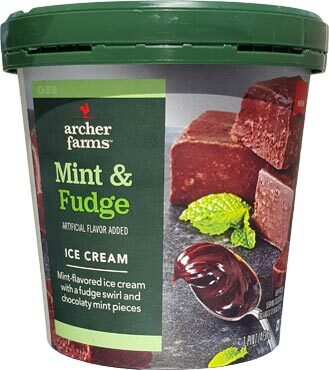 How cool would it be if it had actual fudge chunks in it? That said, I'm not a huge fan of the pint design in the fact that it is misleading. My brain keeps registering fudgy brownies but there's none of that here. Let's see what it does have. HA! I wasn't expecting that kind of mint in there! Look at all of them! They are about a quarter inch square and not quite half as thick. They have a consistency similar to white chocolate or white confectionery bits that you've had in other ice creams. They are neither super hard nor super soft, instead they just have a nice confectionery crunch to them. Overall I am liking this one. The crazy amount of bits is definitely bringing the afternoon fun factor. 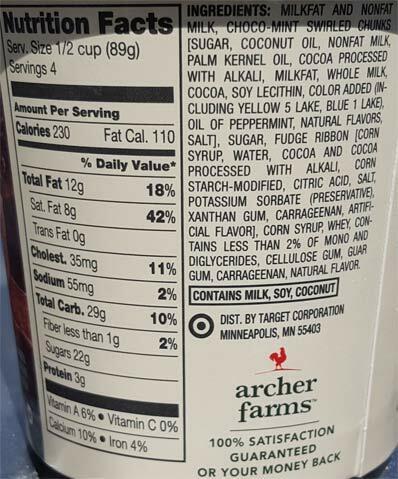 You might get three or four on a spoonful and that's not something you see a ton of in mint flavors. 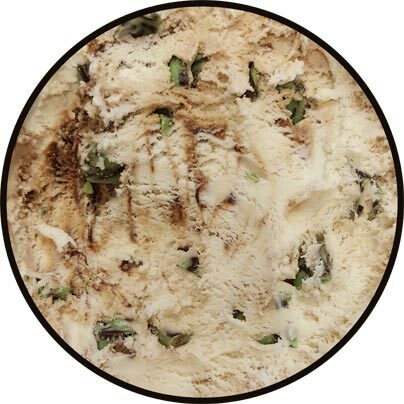 It feels more like a blizzard than a typical pint of mint ice cream. Calling it mint & fudge is appropriate as it's usually mint first and then fudge. There are spots where I'm getting a healthy kick of fudge sauce which is basically your typical hershey's chocolate syrup type flavoring and consistency. There's some nice flavor oscillation to keep things interesting and it's got a nice, mixed, robust aftertaste. ...and I've decided to put it back in the freezer before I eat the whole thing. 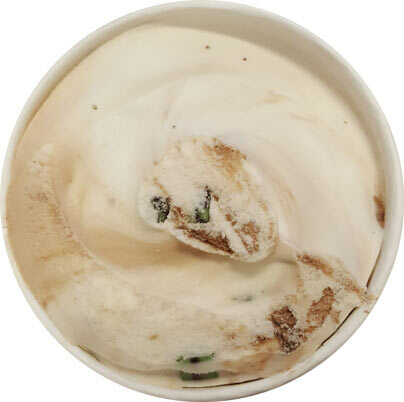 It's got a soft texture so it's easy to scoop and the mint kind of gives it this freshness like the pint was just pulled off the delivery truck. 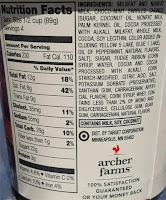 If you are like me, you need to be in the mood for mint, but considering I bought this with some half off bags of york peppermint patties, you could say I was in the mood for mint and this totally worked. So recapping, if you like the flavor of york peppermint patties, but in a chilly and amusingly crunchy form factor, give this one a shot. It seems like Target has figured out how to make these pints fun and I look forward to finishing this one off. Such a neat mix in. On Second Scoop: I really like this one. The flavor and texture go together and then you have all these cool mint candy bits and I'm having a blast eating this one. I think the only thing that I've really had similar is the Market Pantry Peppermint Neapolitan and this has way more of a candy factor to it. Nice job Archer Farms. Oh shoot. I thought those green things were originally Mint LEAVES and was like whoa natural alert, flashing back to garden mint flavors.